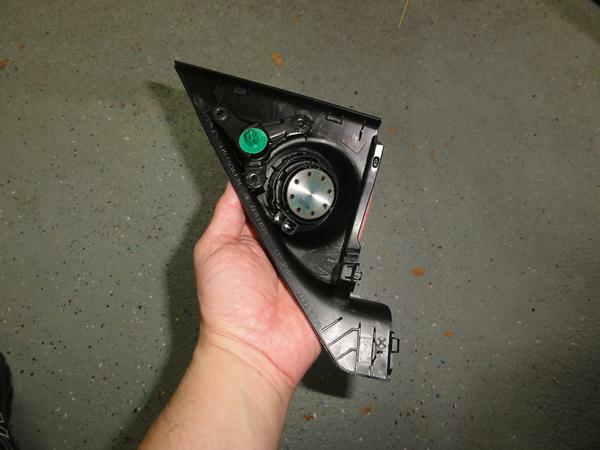 What is the speaker hole diameter in mm for the 13/14 models for the front door speakers? I know DB6501's have a 5" (127mm) Woofer Mounting Diameter and fit, but I need the exact dimensions of the hole itself. For those that have the DB6501, did they just barely fit? Did a search, can't find the info anywhere. Snowed in so I can't take off the doors panels, and I'm ordering my stuff today. Those with the polks, did they just barely fit in the hole even with the 3/4 spacer with little clearance (wiggle room) on either side? That would indicate that the hole is not much bigger than 5", and quite possibly less than 5" due to the use of the spacer, and that speakers with a mounting diameter listed in their specs of 5.25" won't fit even with a spacer. sorry for the delay, i've been traveling. the adapter is what you are interested in - the mounting hole of the adapter is what needs to coordinate with the speaker - the actual hole is larger than that. your adapter link didn't work so i'm not sure what exact adapter you are ordering, but probably the typical one from Crutchfield that comes with the speakers when you buy from them. the issue you will have is mounting depth - the stock bracket may not be sufficient for using a deeper woofer. Others have reported the dB6501 as fitting with the adapter. Last edited by keep_hope_alive; 02-08-2014 at 07:16 AM. note the foam seal around the front of the woofer - that is vital for success of the new speakers (whatever they are). 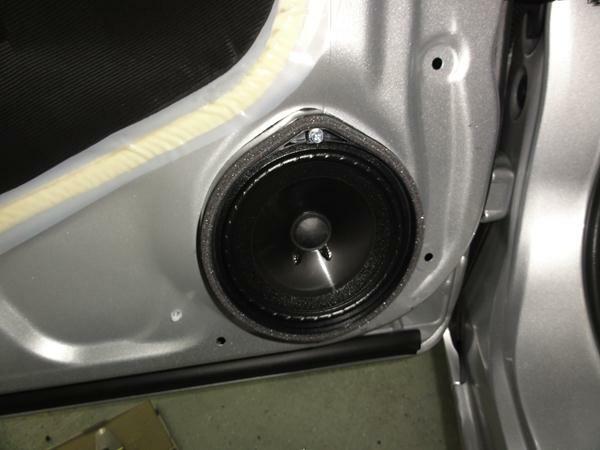 you need weatherstripping foam to recreate that seal because the door panel is the front of the speaker enclosure. I installed Polk MM6501's with 3/4 spacers, ended up grinding the door to make them fit. The issue is the speaker frame profile go's from the mounting flange straight down rather than at a angle, which caused it to hit the door frame. I figured the speaker opening isn't structural and these speakers will be in for life unless I blow them up so I didn't care on grinding. After grinding I did prep the bare metal and covered with sound dampening material. good deal. no worry about removing metal there. be sure to have an airtight seal between the front of the speaker and the door panel.